Have you ever felt weakened by fear? Do you sometimes feel misunderstood and wonder what steps you could take to meet life’s challenges head on and regain control your life? If you’re ready to embrace change with an enlightened courage and discover your unlimited potential and ultimate freedom, this powerful and inspiring book has been written just for you. With candor and keen introspective, author Michael Challenger offers a glimpse behind the curtain into a world where his version of paralysis was as real as it gets. Don’t Let Fear Paralyze You! is a bold and unique perspective of a journey into self-realization. Each chapter offers strategies, discovery and interactive inner guidance to live boldly and let go of fear-based behaviors that are holding you back. Begin the healing process today and step into your true and authentic self. 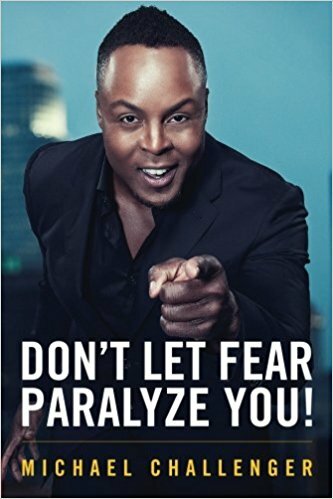 By sharing his personal path to victory even when he faced his darkest days, Michael will help you uncover the many disguises of fear and embark on a step-by-step transformational journey of hope, self-discovery, and appreciation as you dare yourself to do the things that once felt impossible. 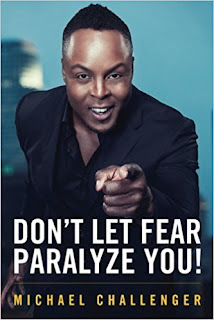 In Don't Let Fear Paralyze You! 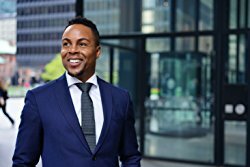 : A Guide To Your Own Personal Freedom, Michael Challenger offers wisdom one small chapter bite at a time on how to move from a place of holding back to one of freedom. He wants everyone to reach for their dreams instead of allowing doubt, fear and negativity from other to hold them back. While this is laid out in a traditional book format, it really is a combination book and workbook. Don't let the smaller page count fool you. In 20 chapters he covers a broad range of topics that ask the reader to look within. Trust, courage, doubt, self-sabotage, responsibility, authenticity, truth and one I feel strongly about and have also asked people to consider - "What Are You Willing to Sacrifice?" - are discussed. Each chapter looks at just one piece of the puzzle with the focus of finding the answer by looking within. The author doesn't give THE answer as it will be different for every single person. He works to lead readers to discover the truth that is right for them. At the end of every chapter, and sometimes in the middle, there are workbook style questions asking you to reflect and turn inward followed by a space to write your answers. There is something powerful about putting pen to paper. It helps bring the message home. Be prepared to take your time with this book. You want to delve into each chapter and then take time to process what you learned to and allow it to sink in. A successful career as a singer, dancer, choreographer, producer and director, led him to believe he was at the top of his game. This idea came crashing to a halt by incidents he witnessed during the four years he spent in Los Angeles attending the New York Film Academy to garner his BFA in 2012.
him, until he realized he could control the situation and in acknowledging that fact was able to analyze the process and ultimately he created solutions that can be utilized by anyone. to overcome your fears and live the best life possible. He is a peaceful warrior with a passionate curiosity and zest for life. Through spirituality, yoga, healthy eating and physical training, this “Challenger” becomes more centered and grounded every day. Michael is an award-winning director-producer who has built his career through high energy, business savvy and goal-driven habits with a natural talent for innovative, unique creative ideas and artistic concepts. He’s a triple-threat professional performer with expansive professional credits including theatre, dance, film and television.